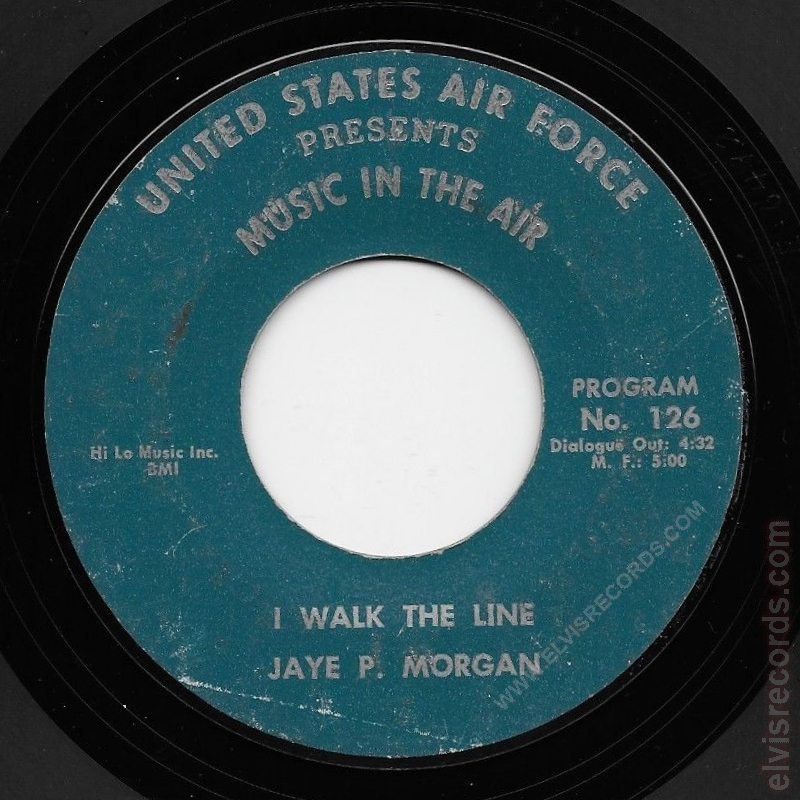 This record is part of the United States Air Force Presents Music in the Air series. Custom programming tailored to entertain the United States Air Force with over the air programming. Program No. 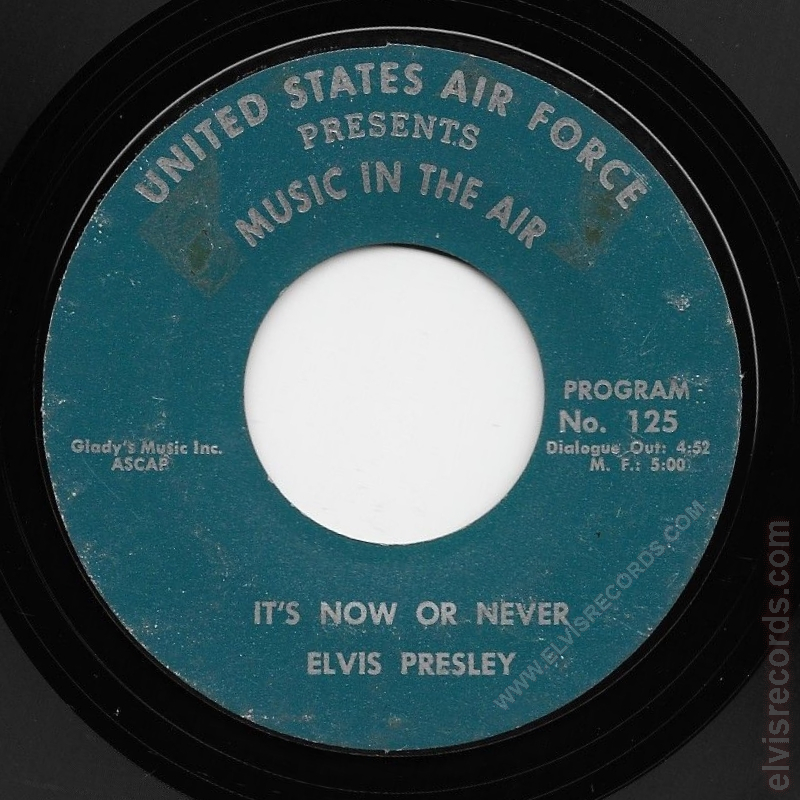 125 is Elvis Presley with It's Now or Never and the flip side with Program No. 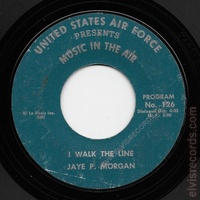 126 featuring I Walk the Line by Jaye P. Morgan. 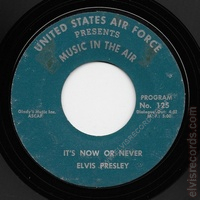 This record was never made available at retail and is considered a disc jockey promotional record.